The temporomandibular joint is a hinge that connects jaw to temporal bones of the skull that are present in the front of the each ear. A TMJ helps to move the jaw up and down, yawning, eating, and talking. 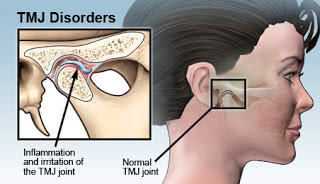 TMJ Disorder is TMJ and muscle disorders, which are caused by the group of conditions that cause pain and dysfunction in the muscles which control jaw movement and dysfunction in the jaw joint. Severe pain, swelling, and discomfort in the jaw joint, face, in or around the ears, neck & shoulder while chewing, speaking and opening mouth wide. Sounds like clicking, grating occurs while opening and closing the mouth. Trouble in chewing, swallowing and discomfort bite occurs when the upper and lower teeth do not fit together properly. The Realization of symptoms at the right time is very vital to get the help from the dentist for a correct treatment. Generally, NSAID is prescribed for pain and swelling. Muscle relaxants, anti-depression for stress are prescribed as add-ons for the patients’ problem. A locked jaw is opened only with the help of TMD surgery. The open surgeries are preferred for the tumors in the jaw joint. Open-joint surgery is done for the bone chips. When bony structures that reduce to a great extent in the jaw bones is suggested for TMJ surgery. The TMJ disorder surgeries are adopted by patients after knowing their exact problem and treatment procedure with the dentists and surgeons. JP Dentofacial & Implantology in Thrissur, Kerala is a well-renowned centre for the dental, maxillofacial surgery, and Implantology. Dr. Philip Mathew MDS (Oral & Maxillofacial Surgery), Chief Physician treats all kinds of patients with the dental and maxillofacial problems. 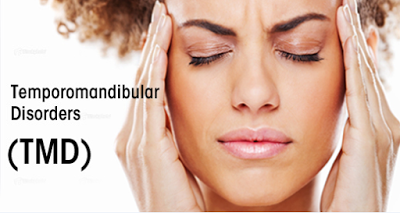 TMJ surgery cost in India depends on the city, treatment, and standard of the hospital. We provide treatments to the patients at a reasonable cost.